For the next two weeks, this blog focuses on disabled writers who are creating new networks, new ways of bringing the writings of disabled people into the world. In Part 1, we take a brief look at the #OwnVoices, the Disability Visibility Project, The Deaf Poet’s Society. Part 2 will look at Disabled Writers, Media Dis-n-Dat and Disability in KidLit. Disability is not a ‘brave struggle’ or ‘courage in the face of adversity.’ Disability is an art. It’s an ingenious way to live. I recently came across an interview with author Corinne Duyvis who created #OwnVoices. 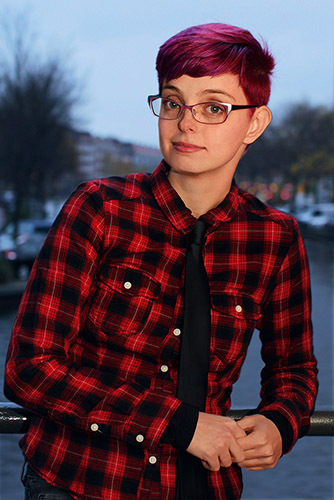 She is a lifelong Amsterdammer, cofounder and senior editor at Disability in KidLit and identifies as a Dutch, white, disabled/autistic female. Although she created the hashtag she claims no ownership of it. The basic idea is to identify whether or not elements in the writing reflect first person experience of the author. So for example when Selene dePackh, one of the Reclamation Press authors, writes an autistic character, a disability she shares, we would say that the autistic character in her book is #OwnVoices. Far too often, people with only outsider knowledge write about disability. A common way this occurs is when family members write about experiences of people with disabilities. #OwnVoices provides important information about whether the author is writing from insider or outsider knowledge. first-person knowledge provides the writing with more depth and quality of knowledge about the topic. #OwnVoices tags direct experiences of writers to their subjects which provides clarity about whose knowledge, an insider or an outsider, is being presented. The visibility of using #OwnVoices allows writers, readers, editors and publishers to be proactive with correcting ongoing lack of first-person knowledge in disability writing. #OwnVoices is now being used to address multiple sources of knowledge including people of color, LGBTQIA, immigrants, etc. The quick adoption of #OwnVoices across many communities indicates both the need for, and usefulness of, honoring first-hand knowledge. Alice Wong is an Asian-American disabled woman based in San Francisco. When Alice began the Disability Visibility Project information to and from disability communities, particularly disabled communities of color, was sporadic and diffuse. Trying to find information, share information and build community conversations was difficult. 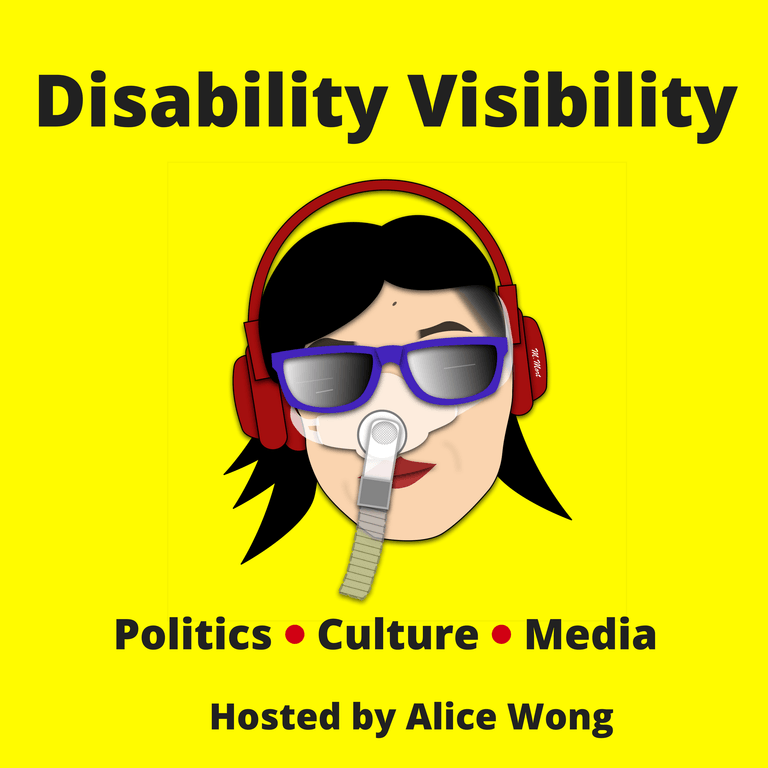 The Disability Visibility Project (DVP)® is an online community dedicated to recording, amplifying, and sharing disability stories and culture. The DVP is also a community partnership with StoryCorps, a national oral history organization. Our aim is to create disabled media that is intersectional, multi-modal, and accessible. Description from DVP: Graphic with a bright yellow background. At the top in black text: ‘Disability Visibility’. In the center: illustration by artist Mike Mort featuring an Asian American woman with black hair, red lips, and red headphones over her head. She is wearing a Bi-Pap mask that covers her nose and attached to a gray tube. She is also wearing a pair of purple sunglasses Below in black text: ‘Politics Culture Media, Hosted by Alice Wong’ with a red dot between ‘politics’ and ‘culture’ and one between ‘culture’ and ‘media’. Creating media from those oral histories in the form of tweets, radio stories, audio clips, images, blog posts, etc. As their website states: The Deaf Poets Society is an online literary journal that publishes poetry, prose, cross-genre work, reviews of Deaf or disability-focused books, interviews/miscellany, and art by D/deaf and/or disabled writers and artists. Founded in 2016, our mission is to provide a venue for D/deaf and disability literature and art, as well as to connect readers with established and emerging talent in the field. If you have not read their profoundly brilliant journal yet (there are 4 issues so far), please DO IT NOW. Yes, they are that good. Like all disability work, these projects have limited access to funding, Please consider supporting them and their good work. These links direct you to their Donate Page.